I love having a garden. About a year and a half ago, I built a square foot garden and planted kale, rainbow chard, cabbage, and some herbs. A couple months later, I supplemented the square foot garden with tomatoes, an earth box with eggplant, and a salad greens table. The backyard garden has provided Jill and I with a plethora of vegetables and herbs to supplement our store bought groceries. Many of these homegrown items been the inspiration behind the foods we’ve cooked and featured on the blog. 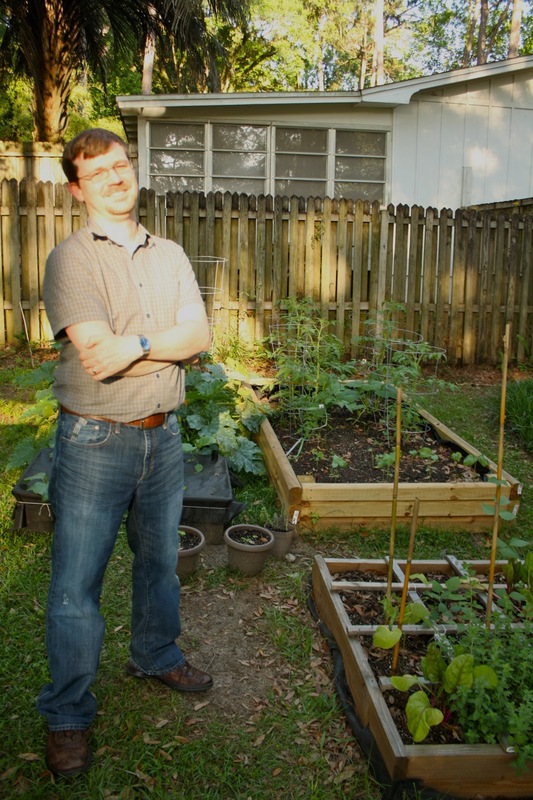 This spring I decided to expand the backyard garden. With predrilled lumber and decking screws courtesy of my parents, I assembled a garden box a few feet away from the square foot garden. In this box, I planted three varieties of small heirloom tomatoes and some okra. I received a couple more earth boxes from Jill’s family and planted golden zucchini and eggplant. 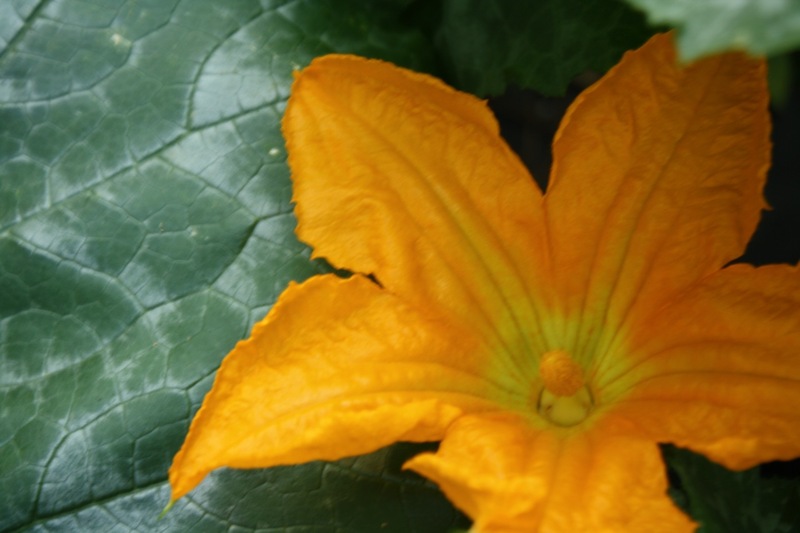 The zucchinis have the most beautiful, golden yellow blossoms. The garden’s first yield of the season was two gorgeous golden zucchinis. 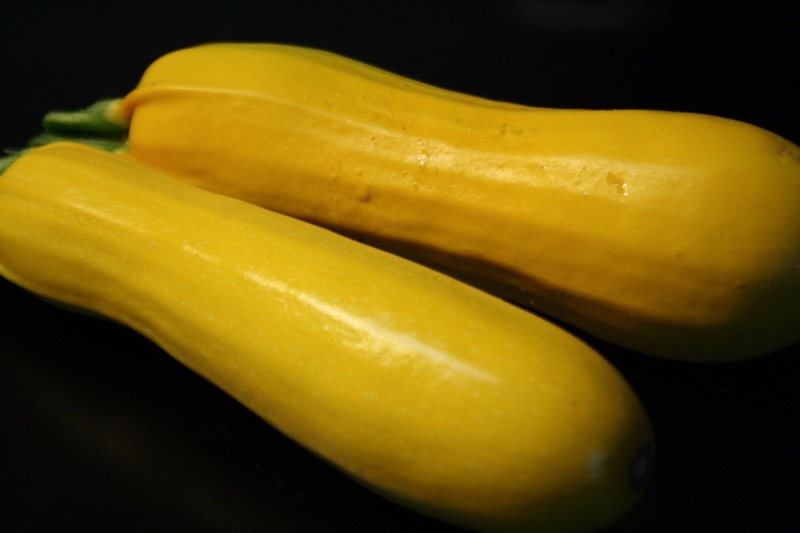 Except for the rich golden color, these summer squashes look much like their dark green counterparts commonly found in the grocery store. As the season progresses, I look forward to featuring some more of the garden’s harvest on the blog.